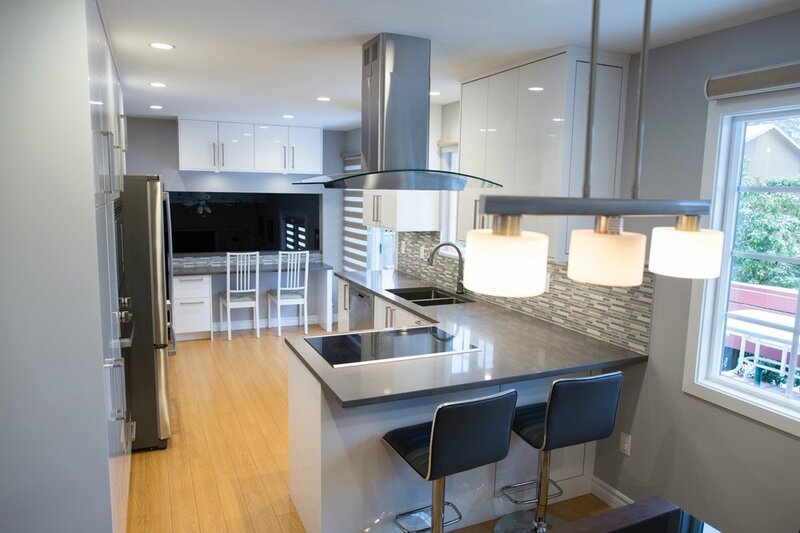 Nora and Noriel wanted to remove the wall between their kitchen and dining room as while updating the cabinetry and finishes in their Ladner home. After removing the wall, we finished off the kitchen with high gloss white cabinets, slate grey quartz counters and a mosaic backsplash. We installed pot lighting to make the rooms feel bigger and provide bright feature space in their home. Nora and Noriel often mention not only about the beauty but also the functionality of their kitchen.